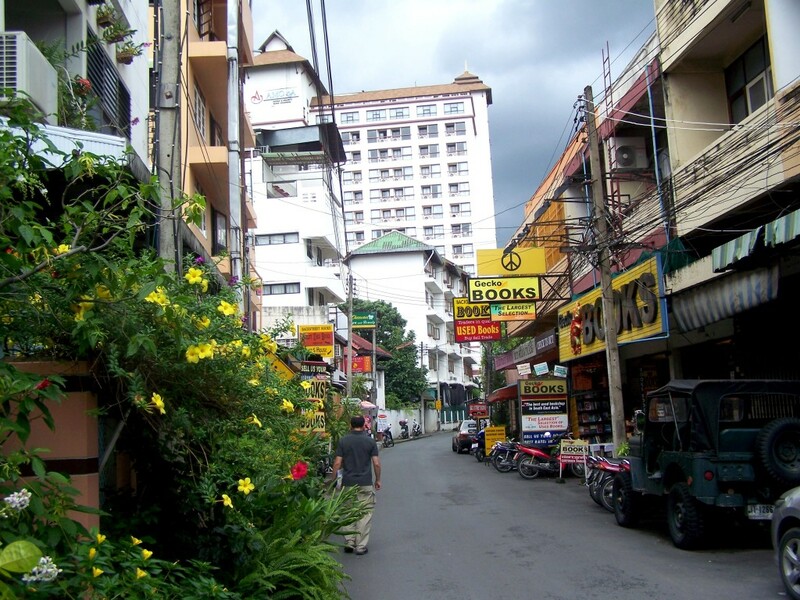 Chiang Mai was my first experience in Southeast Asia, and one I will always remember for countless reasons. It’s the city where Katie surprised me with an early visit, forcing me to power through my jet lag. The city which was my home base after a week with the elephants at Elephant Nature Park. And, the city I tried to fall in love with. 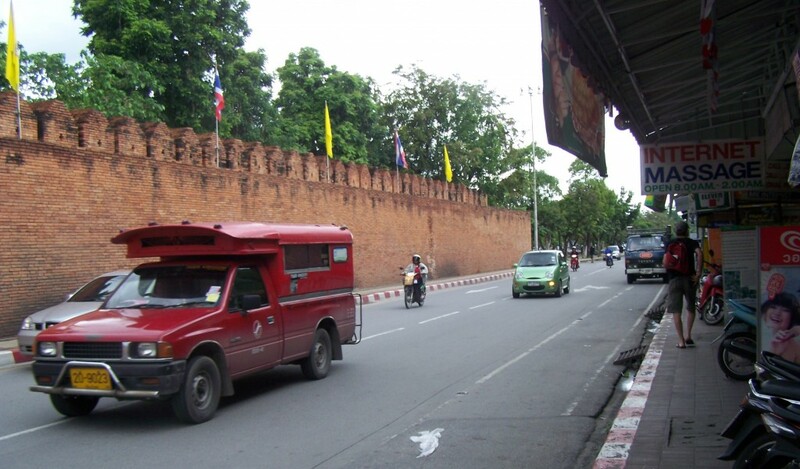 Somewhere, deep down, I knew Chiang Mai very well could end up being my home. So, I did what anyone would do who is scouting their potential future city. I took photos. Lots and lots of them. 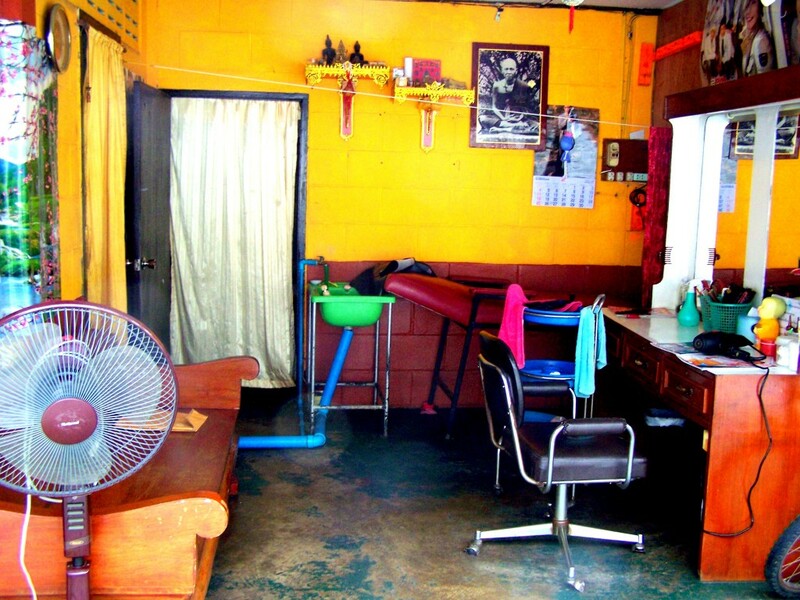 A barber shop in Chiang Mai. There are no doors or outside wall, just open air to the street. I loved wandering around and just taking in the beauty of life on the side streets. 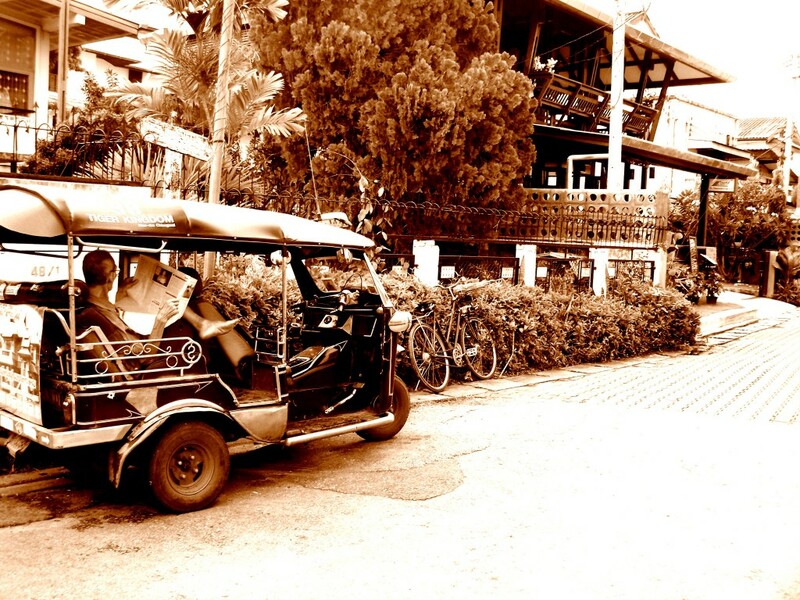 A tuk tuk driver awaits his next fare. 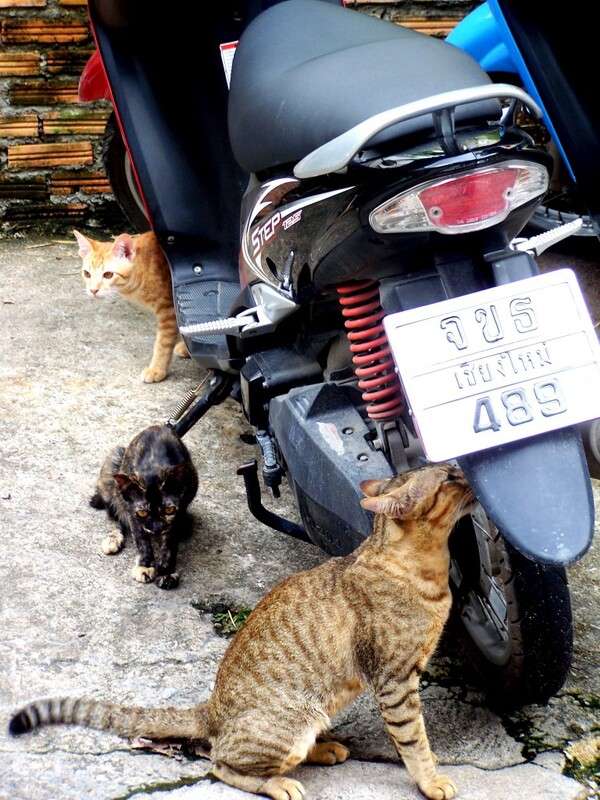 Some street cats explore a motorbike. For me, even with the mountains in the distance, with the humid weather and the tropical flowers, it was hard not to think I was living in a beach town. New to me were the little “restaurants” on the side of the road, in places you wouldn’t imagine. 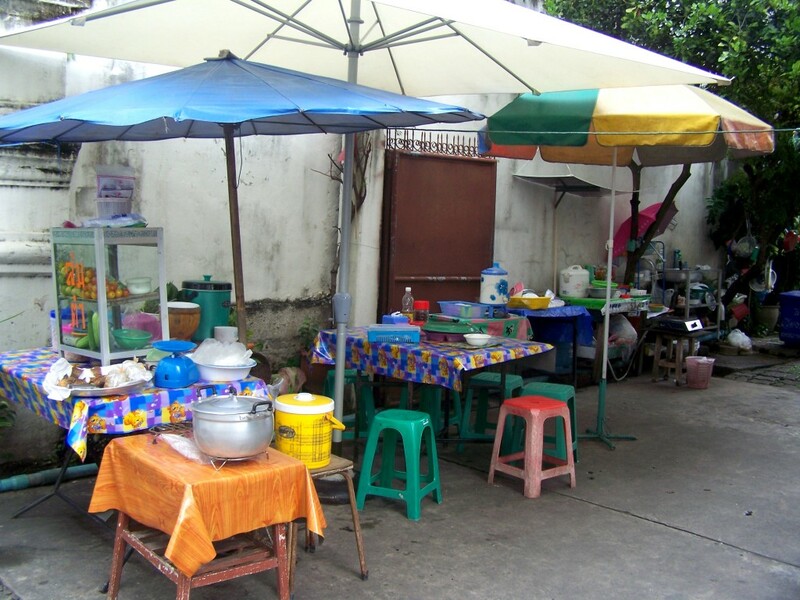 Throw out some plastic chairs, a little table and assemble a mini-kitchen on the sidewalk, and you’ve got a bonafide place to enjoy some seriously good homemade Thai food. 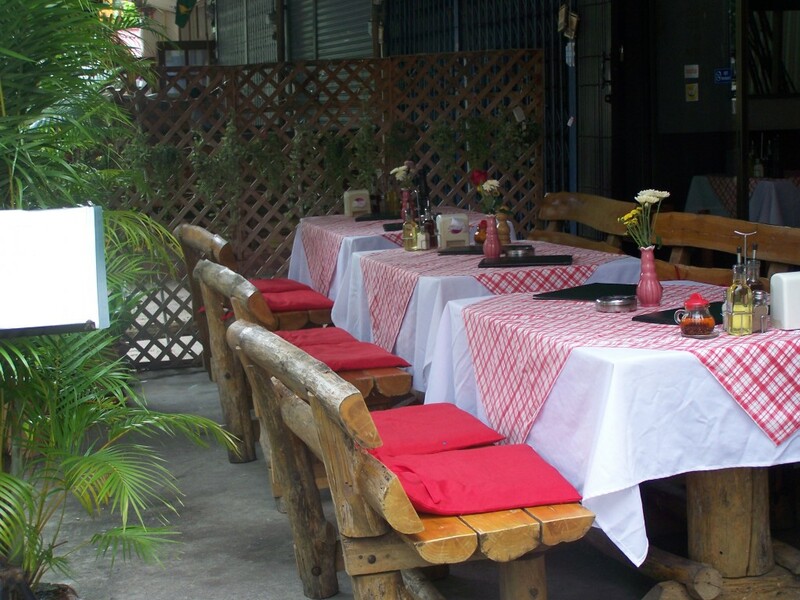 A quaint and colorful street restaurant. 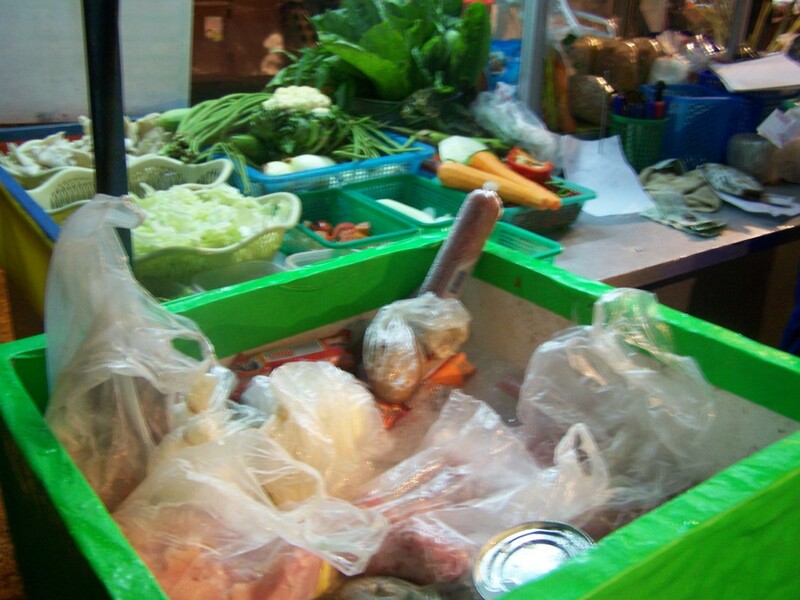 Ingredients to prepare some fresh and amazing Pad Thai. And then, there’s life around the old city walls and moat. 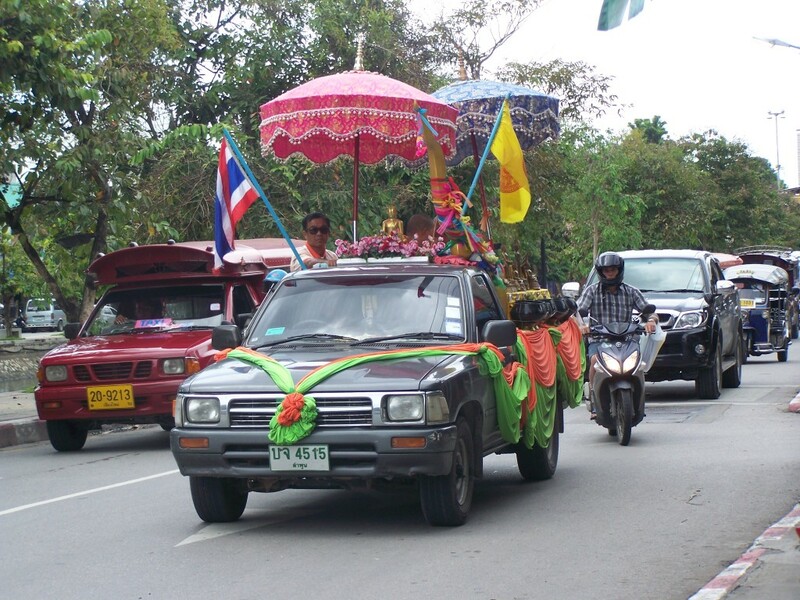 There were plenty of times I’d be walking near Thapae Gate and see random trucks decked out with colorful decorations. The ancient wall around the city. Taking in the few minutes of no rain during the country's rainy season. I loved the way the city looks entirely different at night. 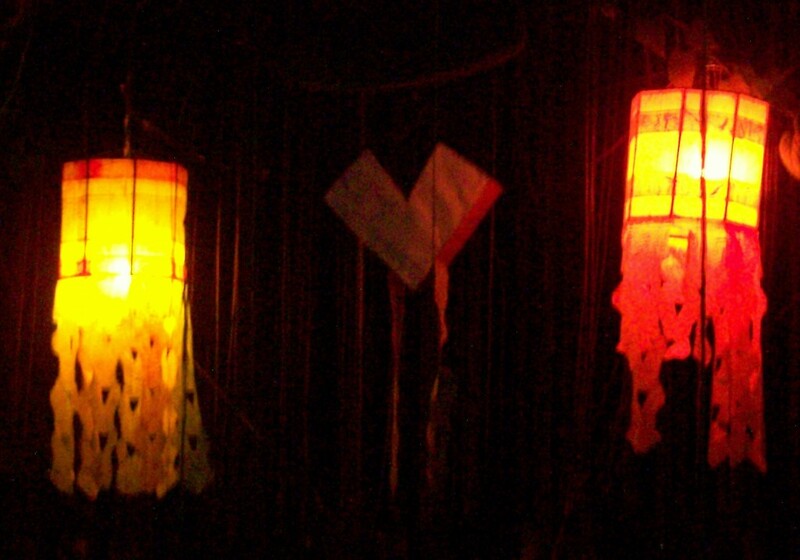 Even the side streets seem to have a different atmosphere, with paper lanterns lit. 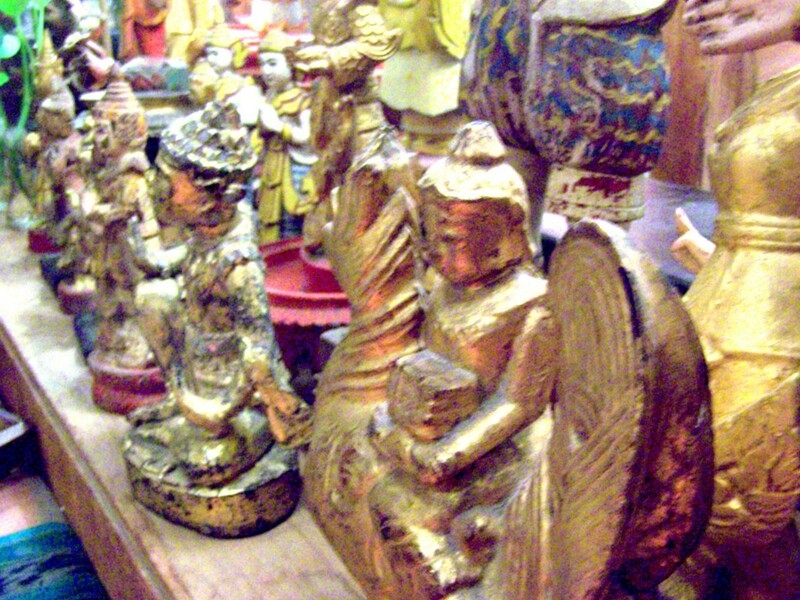 And, of course, no visit to Chiang Mai (or Thailand) is complete without visiting the numerous wats. Within the old city walls, there are plenty of them. 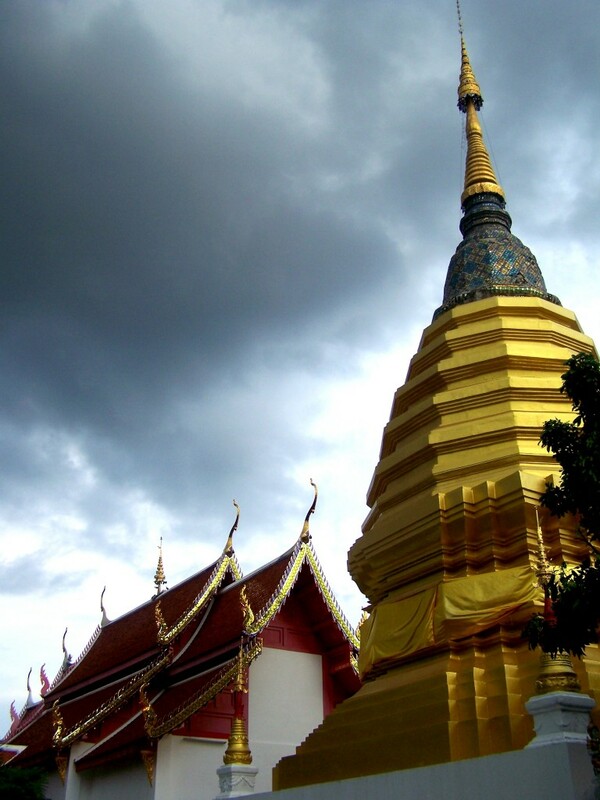 The gold of the temple glows against the rain clouds. 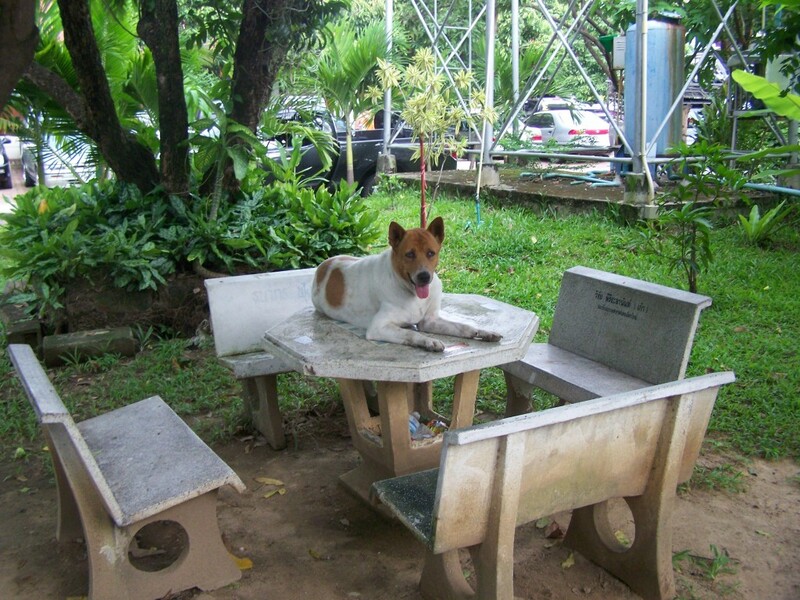 A temple dog hangs out on the table. Tip: When visiting Chiang Mai, be sure to head to the Mae Ping River for some riverside exploration and dining. 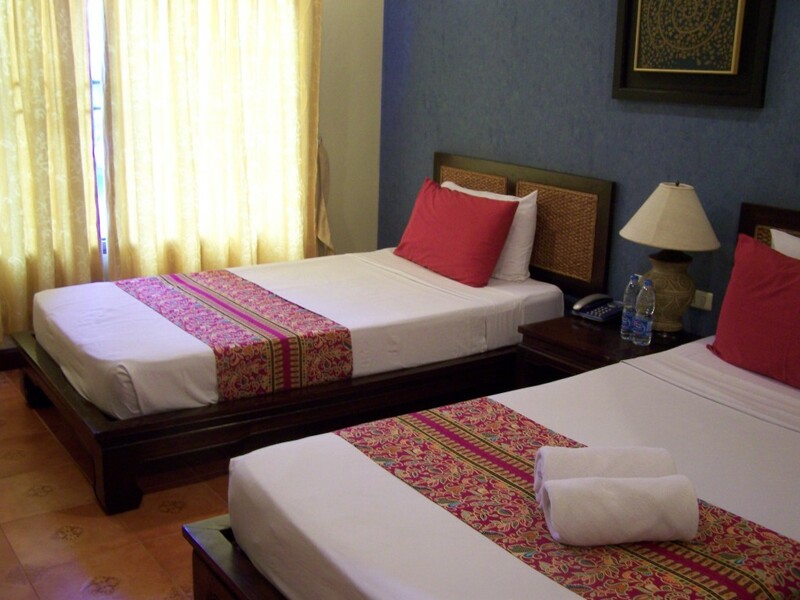 Where to stay: While I was there, I stayed in a dorm room at A Little Bird Guesthouse (four-room, mixed dorm, around $2.50 a night), and later, at Chiang Mai Thai House. Little Bird is in the old city; the guest house is just outside of ThaePae Gate. Bonus? It’s got a pool! 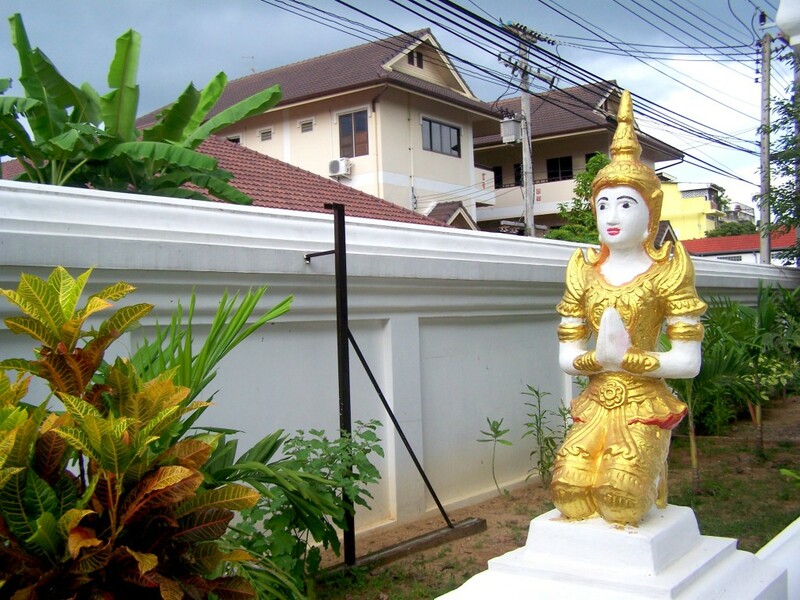 A private at the Chiang Mai Thai House? Oh, a cool $13. The good news? By the time I was ready to leave and put aside my excuses, I was smitten with this tropical mountain town. Thank you!! Chiang Mai is pretty photogenic! Looks so cool. Really looking forward to visiting some day soon. Of course! You planning on returning any time soon? 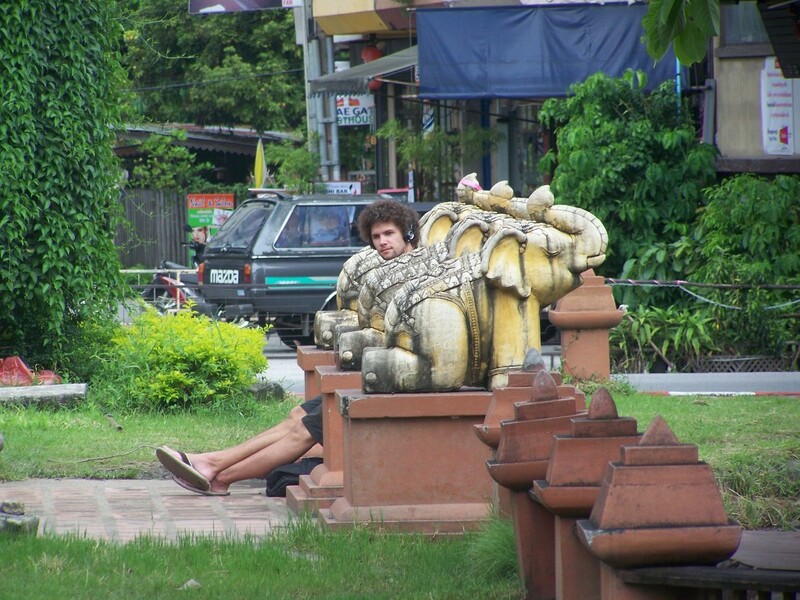 I miss Chiang Mai!! And I love the fact that I recognize where some of these photos were taken. 😉 That dog just chillin’ on the table cracks me up. Awww, well you will have to come and visit me! I love the dog, too! It seems like animals just naturally gravitate towards the tables there! 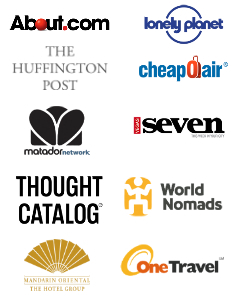 No wonder there are so many expats there! I’m smitten just by the photos! Especially that decked out truck. So much character. 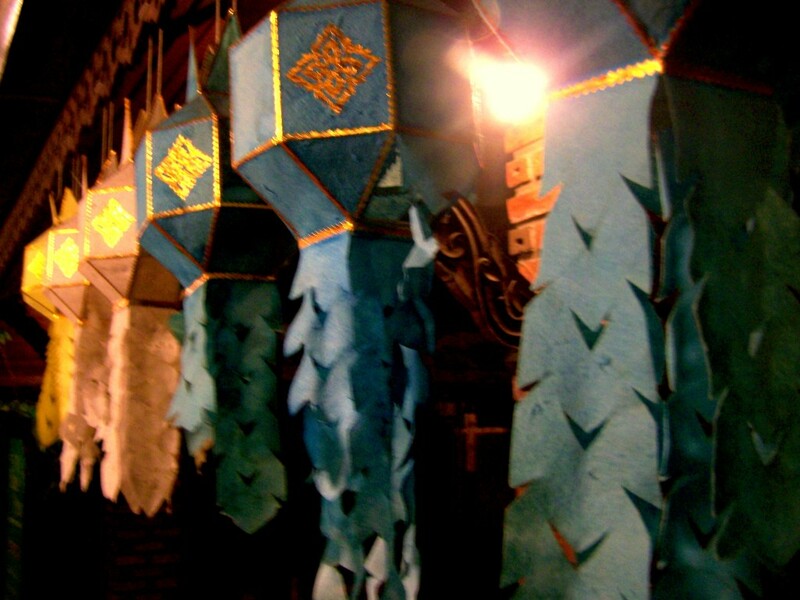 Awww, I had fun taking photos in Chiang Mai. There was character like that everywhere. I’m really looking forward to going back! Beautiful photos! I love the 3 street cat photo with each one intent on his/her own mission. That is one of my favorite shots! great coverage of CM and lovely pics – I’m visiting for the first time in Dec with an eye on moving there next year – are you enjoying it?